When I was an intern at MoMA, the museum launched a mid-career retrospective of the filmmaker Tim Burton. It was met with skepticism. Burton’s iconic status as a mainstream blockbuster-maker, with a cult following, had critics and fine-arts-lovers questioning MoMA’s integrity. It was an exhibition that displayed process, the evolution of process, and a mental stream of consciousness. But are doodles by a director art? Is Burton a mega-museum worthy artist? When I considered the exhibition at the time, I decided “Tim Burton” was brilliant. From a museum-marketing, public relations point of view, I still believe “Tim Burton” was brilliant. After witnessing the line-ups and the crowds, and after mingling with the audiences, I saw the value in a marquee art venue like MoMA hosting a mass-appeal exhibition. New audiences entered the museum, memberships increased, and because the exhibition had timed entry tickets, museum-visitors had time to kill by viewing the other galleries. The meatier, more academic, more stunning show “Bauhaus” was on at the same time. I don’t doubt that the increase in the number of under-20-somethings strolling the gallery had a lot to do with Tim Burton. 2+ years later, people are still talking about it. 2 years later, the number one search term that drives people to my blog is “Tim Burton at MoMA.” It was an exhibition that had staying power in the public’s mind. Then came “Alexander McQueen: Savage Beauty” at the Metropolitan Museum of Art — an exhibition with the same mass-consumer appeal. Burton and McQueen are household names in a way Frans Hal and Lyonnel Feininger will never be. I began following McQueen’s career when he catapulted into the fashion headlines in 1990s. He revived avant-garde haute couture and breathed a much-needed breathe of the rebellious artist into a humdrum fashion world. So, of course, when the exhibit opened in May, I promised myself I’d go. Drawing on global culture as much as on his native Scotland, McQueen’s career echoes those of artists like Matisse and Picasso who took the history of their medium and infused the traditional with a sense of the exotic, the other-worldly. For anyone that has ever seen a McQueen show or seen his clothes in a Vogue spread, there is no doubt that McQueen is an artist. The Costume Institute is an integral part of the Met’s collection and exhibition schedule. 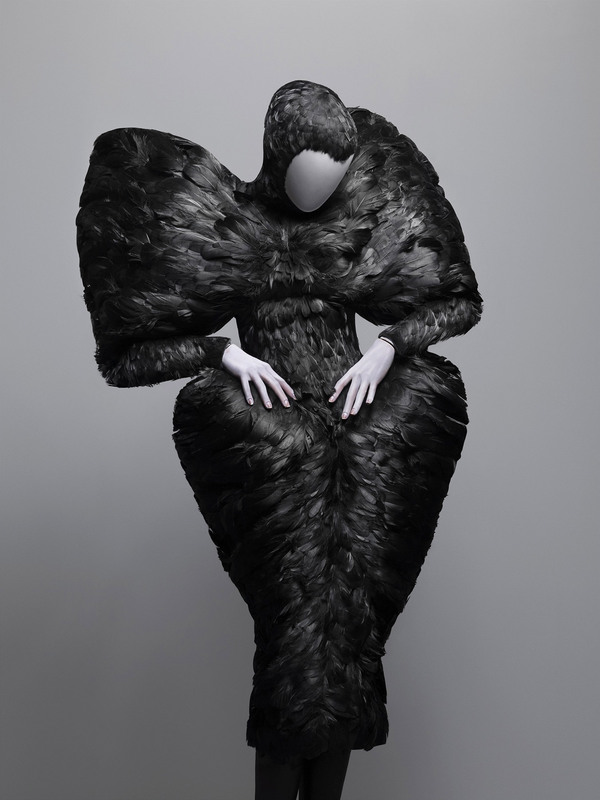 Fashion as art and the art of fashion is, essentially, part of the museum’s DNA. A retrospective at the Met on McQueen was not only natural, but inevitable. Membership increased, but then the Met stopped granting early morning member-exclusive previews. Considering that the Met’s ticket price is technically voluntary, the only benefit to becoming a member is the privileged viewing. I bet there were some very angry new members. Were refunds requested? Were they granted? 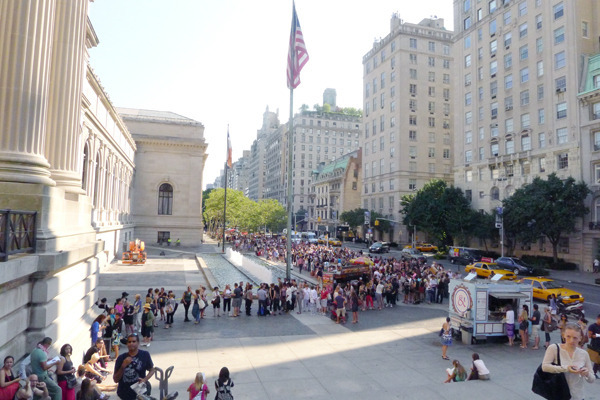 On the one hand, it’s exciting to see a line thousands deep waiting to get into a museum of fine art. On the other, you can’t help but wonder, if that’s the only exhibit they get to see, will they be back?